We are only a few days away from the start of the Ibiza Fitness Challenge. 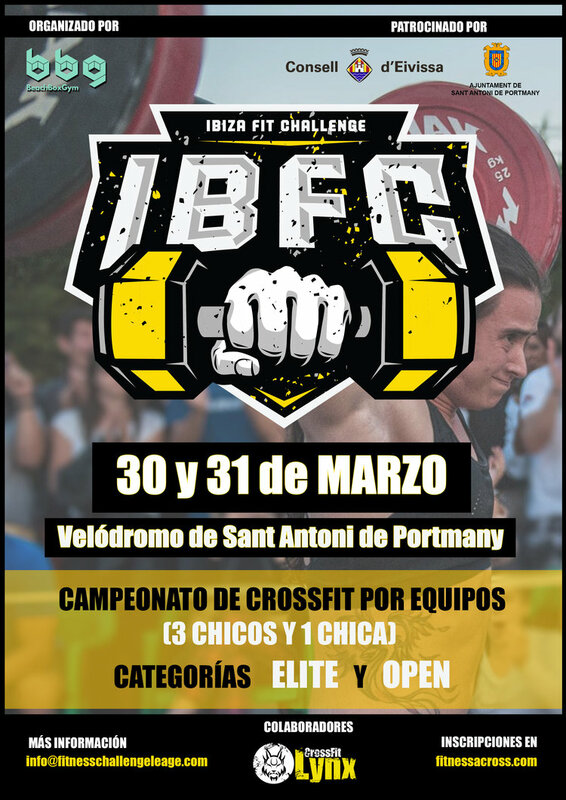 The next 30th and 31st of March at the San Antonio velodrome will take place the crossfit championship by teams in the "elite" and "open" categories. From Hotel Puchet, as a friend of the sport located in the same town of Sant Antoni, we wanted to collaborate with this sporting event offering special rates to participants and their companions. If you still have not booked your stay, do not hesitate to check availability through the e-mail info@smturistic.com or by calling 971 39 04 26. To all the fans and professionals of the crossfit, we invite you to come forward and encourage all the participants. It will be a few days in which strength will be tested and you will see really incredible things. The toughest tests, those that require more strength, resistance and technique. A real show!